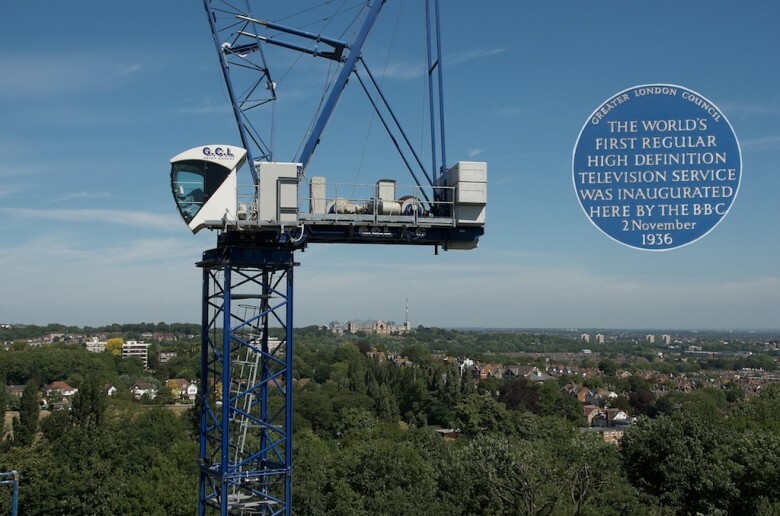 Seen here from under the top of a crane on a building site in Hornsey Lane and overlooking much of Hornsey from its position on Muswell Hill is a distant Alexandra Palace, completed in 1873 as a counterpart to the Crystal Palace in south London. A fortnight later Ally Pally caught fire and was burnt to the ground. It was rebuilt in 1874 but again caught fire in 1980 when half the building was destroyed. The radio Tower is still in use though TV has long since left. The plaque I have lifted is set in the wall of the tower.